In honor of Mother's day I wanted to share a recent even that was very special to me and my family. 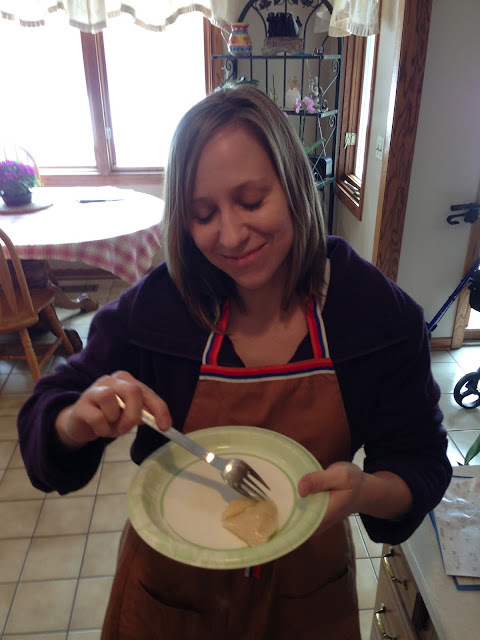 My grandmother is native to Poland and had many great recipes growing up. She never really taught us how to cook certain ones while she was alive, so I was grateful when my aunt and cousin set a plan for us to cooking perogies, one of my favorite foods growing up. They are basically a stuffed dumpling. Our favorite was always potato, but as I got older I really enjoyed the sauerkraut as well. 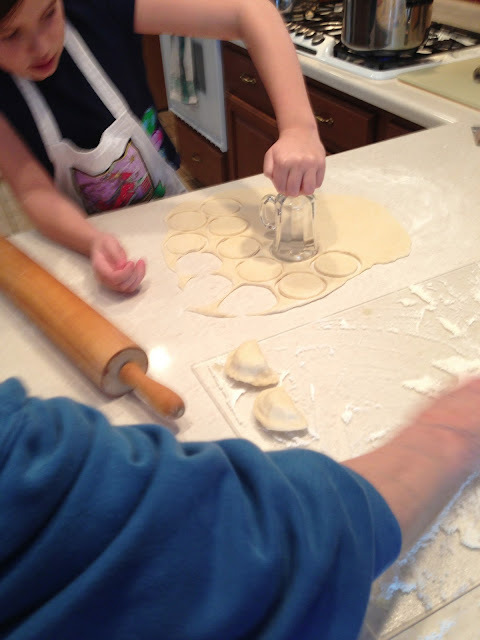 My cousin and aunt prepared the stuffing the night before so we could focus on the perogie making. I've been told it's a lengthy process so we didn't always get to have them - Grandma would make them a couple of times a year and pack us a bunch to freeze when we would visit. After making these I definitely gained much more appreciation for her labor of love. It's a recipe definitely better to tackle with a team since each one is done by hand. Patience is key... to making the dough so it doesn't get too tough. And, closing each of the pouches can be challenging. The secret is to make sure the stuffing is as dry as you can get it. Moisture or juice makes it difficult to seal them. 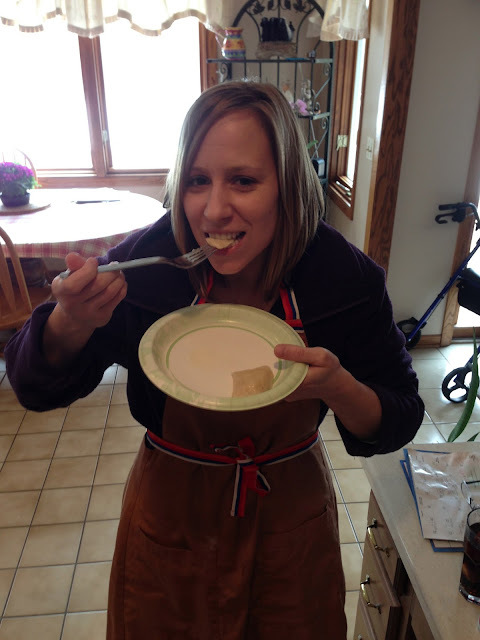 So here is a bit of my family recipe. It's not exact because it's one of those recipes that was memorized and not really written down. My family sort of approximated to what looks good... I have to say, the secret is the butter bath. That really gives them that great flavor. Do not substitute... if you're going to make these, you have to go all out. The filling is all prepared and for the stuffing. 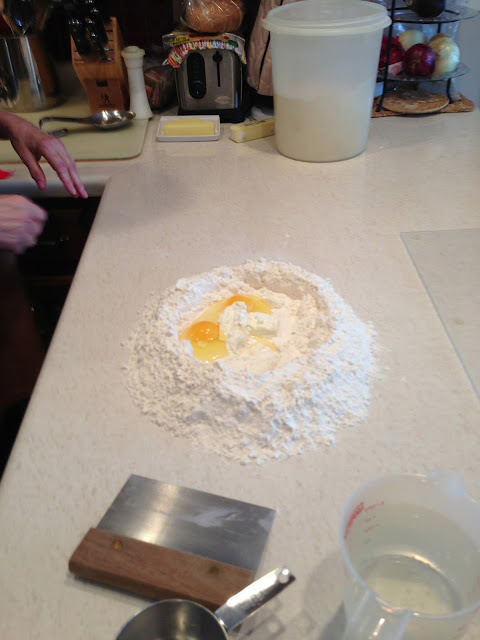 Create a volcano of flour and slowly add the ingredients. 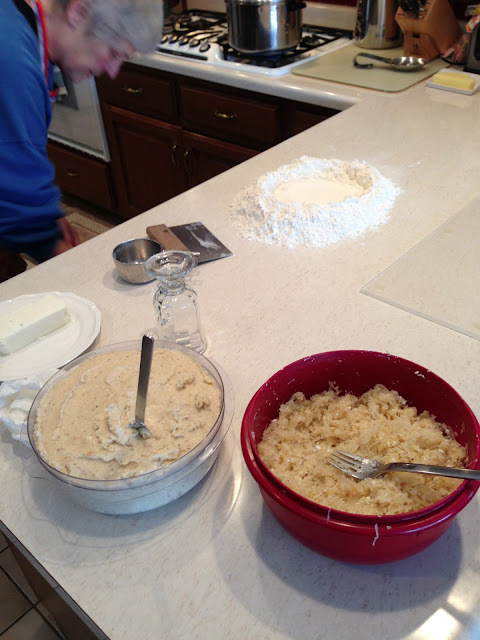 Mix by hand until it forms the dough. 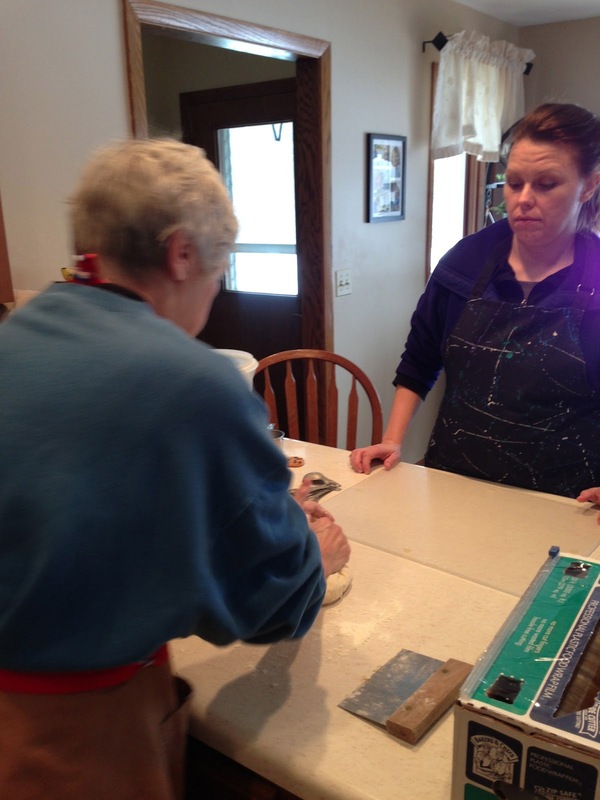 My aunt is a true pro - she takes her time kneading until everything is blended. 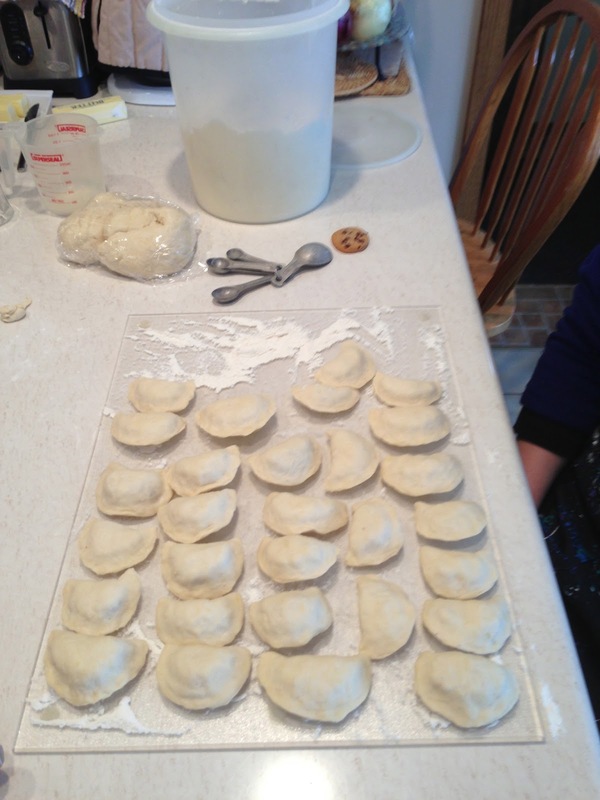 Once dough is formed, divide in half and cover part not used while forming the perogies. We rolled out and cut circles with a glass. They are about 2 inches wide and have some thickness for stretching. And we're off! It is a slow process, but practice makes perfect. It takes quite a while to get this many, but then it's time for the water bath and then the butter bath. it's time to strain off the water and give them the butter bath. After a few batches, it's good to start with new water again. Remember - be sure to use real butter. 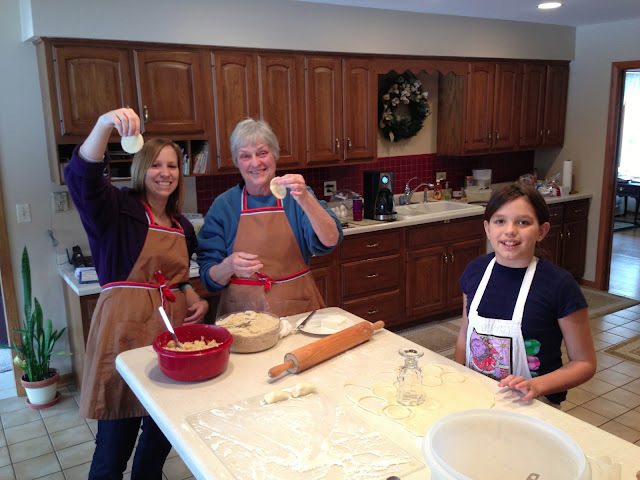 Three generations to hopefully keep the tradition going! 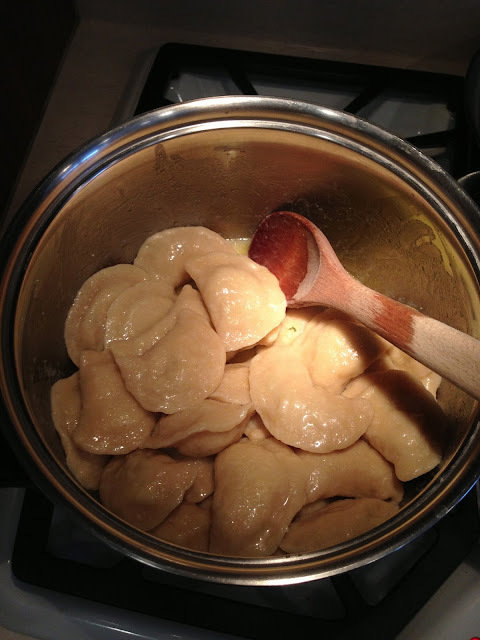 I've never had a Perogie so fresh. There is nothing better! 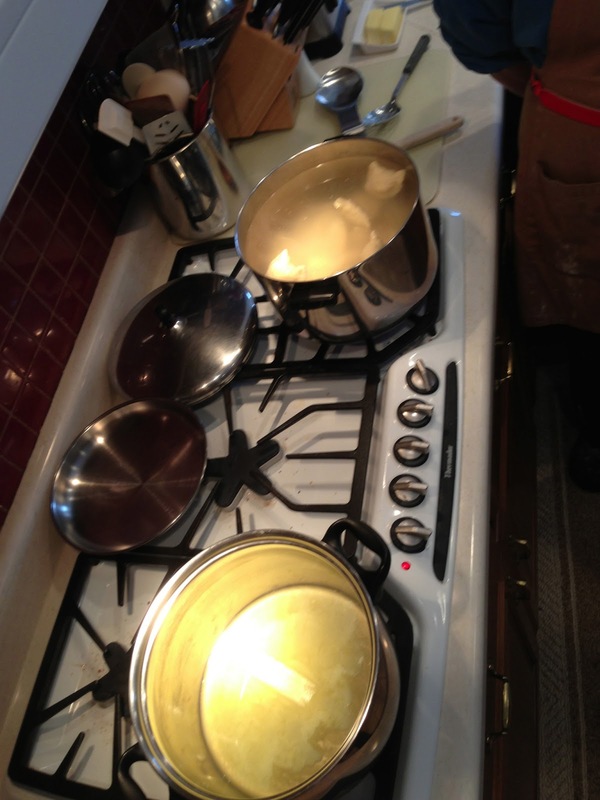 Boil potatoes and mash with cooked onion and ingredients, to taste. Make sure cool for filling. 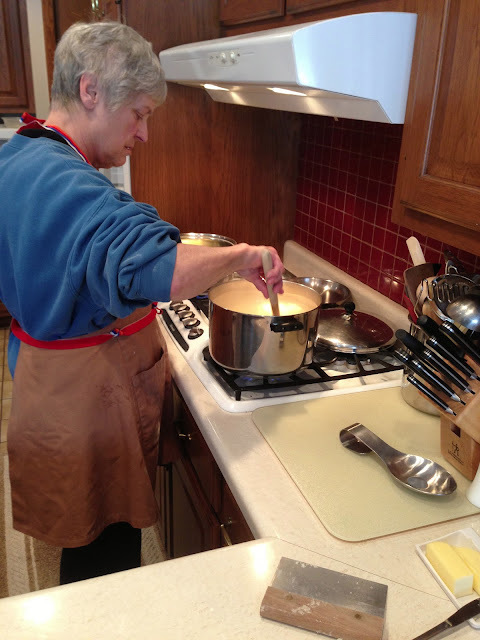 Cook sauerkraut for one hour in chicken bullion with water. Make sure to drain extremely well. Add other ingredients, mix and cool. Mix dough by hand. Do not over mix. Wrap in plastic if not making right away so it does not dry out.